How do I change the nozzle? 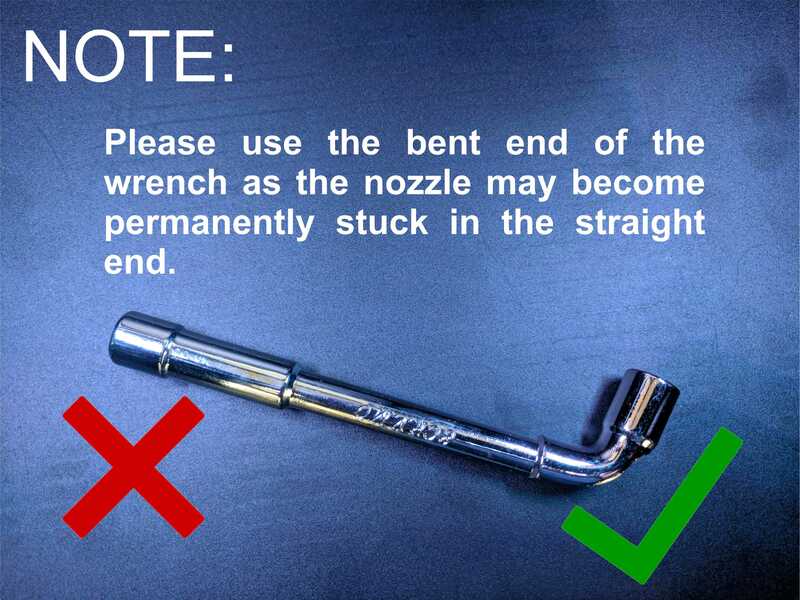 If you've determined that you need to change the nozzle on your UP! 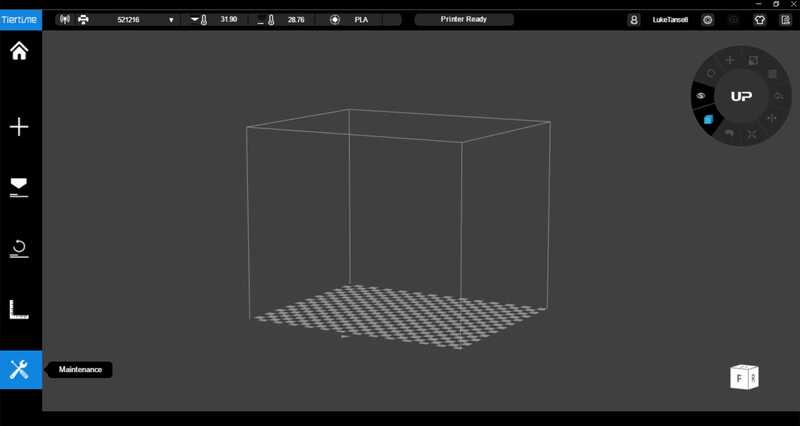 3D printer, please follow this guide. WARNING: This process involves getting very close to the hottest parts of the printer. Please wear the leather gloves provided, and follow all instructions. Remove any filament inside the extruder, by clicking 'Withdraw' from the Maintenance tab. Next, click on 'Withdraw'. This will heat the extruder to allow the nozzle to come off much easier. It will take a few minutes to heat up and will beep once at temperature. If you notice that it is cooling down, simply click 'Withdraw' again. 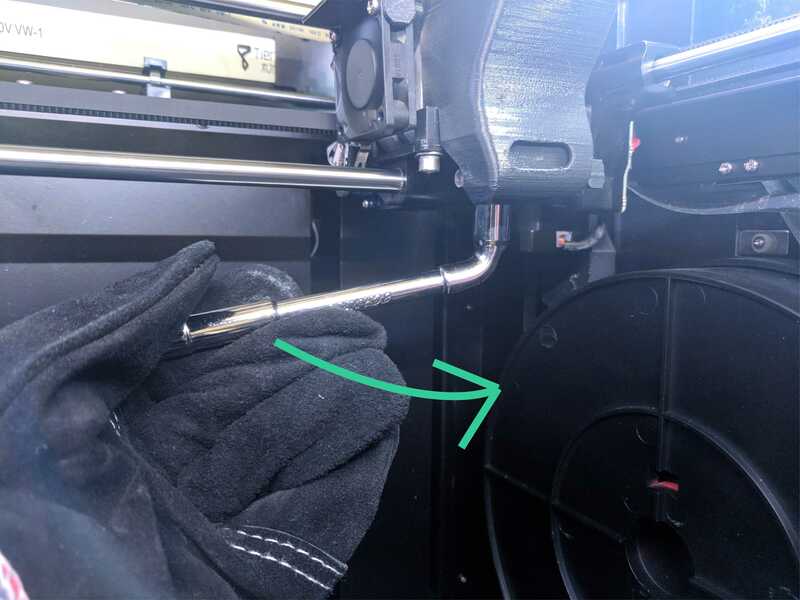 Once the nozzle is removed from the printer, allow it to cool and come out of the wrench. This may take a few minutes. You may now push the new nozzle onto the extruder and tighten it finger-tight with the glove. 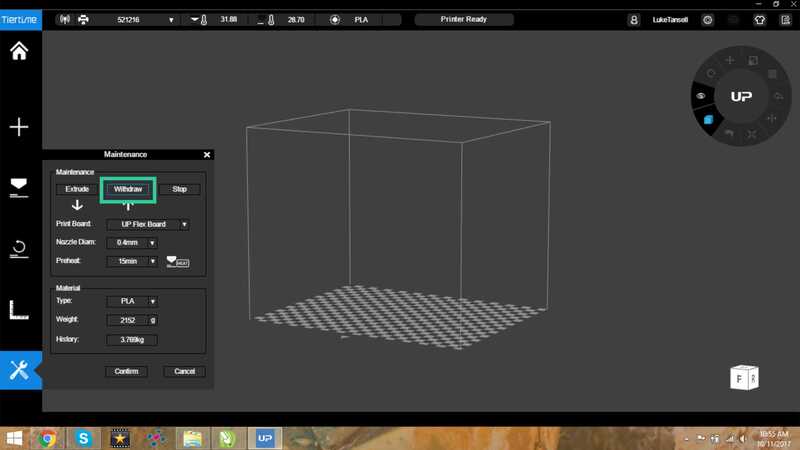 From the software, click 'Withdraw' once more and the extruder will heat up again. Once the extruder is hot, it will beep and this is the point at which you should slot the wrench over the new nozzle. Then tighten it anti-clockwise as shown. It must be firmly secured, but be careful as over-tightening can damage it. 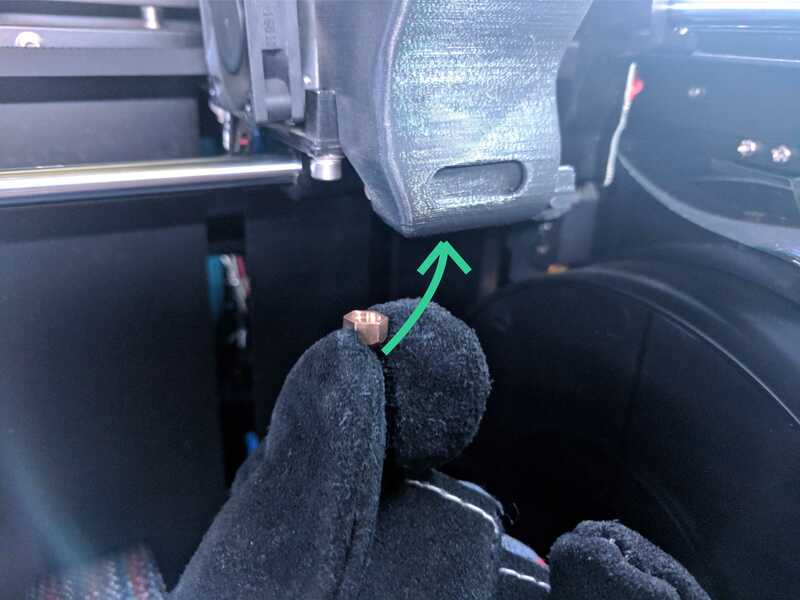 If you find that after a nozzle replacement, there are burnt pieces of plastic coming out in your prints, the nozzle may need tightening as it's coming out from the top where the thread is. If you find that after doing a few prints the hotend is covered in plastic, the nozzle may also need tightening.